There are often occurrences when sampling of a specific item only is required and a survey may not always be necessary. One or more samples can be extracted from a suspect material to confirm whether or not asbestos is present. 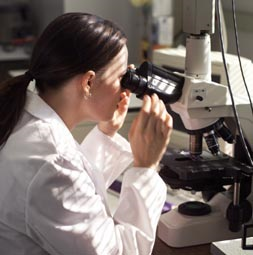 The only sure way of identifying the presence or otherwise of asbestos is to have all samples of suspect material properly analysed by a laboratory formally accredited by the United Kingdom Accreditation Service (UKAS), in accordance with HSG 248 Guidance, a Bulk Sample Report will be issued on completion of analysis. UKAS accreditation against the International ISO/IEC 17025 standard is vital because it confirms whether or not a laboratory has the right people, facilities, equipment, technical expertise and management systems in place so that you can trust its report to be complete, accurate and dependable. Ayerst Environmental Ltd., being UKAS accredited confirms the competence, impartiality and performance capability of a laboratory, helping you to minimise the risk and implications of unreliable results and avoid the wasteful expense of re-testing. In short, it means peace of mind. Ayerst Environmental’s laboratory is staffed by skilled and experienced BOHS qualified technicians, dedicated to providing a fast and efficient service. We only use state-of-the-art technology and our devotion to in-service training is your guarantee that all our personnel are up-to-date with the latest sector developments and analysis procedures. After all, our professional reputation depends on it. We pride ourselves in running a customer-friendly as much as science-focused laboratory service. If you think that there are any materials within your building that could contain asbestos, please feel free to contact us – We will provide you with comprehensive written reports and test certificates by fax, email and post depending on your preference.